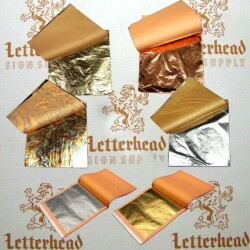 Buy Metal Leafing for Sale here. 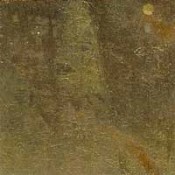 Non-Precious Metal Leafing hear. These come in a variety of colors and materials. We suggest 3 clear topcoats for endurance from hands and or the elements. Sold by the Book or the Pack. 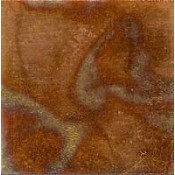 Books contain 25 Leaves 5-1/2" x 5-1/2". Pack contains 20 Books or 500 Leaves. Average Coverage area for a book is 5.25 square feet. Average Coverage area for a pack is 105 square feet. Black Variegated leaf 1 bookBuy black variegated leaf 1 book, containing 25 Leaves 5-1/2" x 5-1/2". Average Coverage area for a book is 5.25 square fe..
Black Variegated Leaf 1 Packblack variegated leaf 1 pack, sold in Full Pack of 20 Books containing 500 Leaves total. Black Variegated Leaf is made fro..
Brass Leaf 1 bookBuy Brass Leaf 1 book for Sale here. Each book of Brass Leaf contains 25 sheets of Leaves 5-1/2" x 5-1/2"Average Coverage area for a ..
Brass Leaf 1 PackBuy Brass Leaf 1 Pack for Sale here. 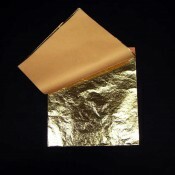 Each Pack Packof Brass Leaf consists of 20 Books each containing 25 Leaves 5-1/2" x 5-1/2" (500 ..
Imitation or Composition Gold Leaf 1 bookimitation gold leaf brass leaf 1 book, contains 25 Leaves 5-1/2" x 5-1/2"Average Coverage area for a book is ..
Imitation Gold Leaf Brass Leaf 1 Packimitation gold leaf brass leaf 1 pack or Composition Gold Leaf Pack consists of 20 Books each containing 25 Leave..
Red Variegated Leaf 1 Packred variegated leaf 1 pack, sold containing 20 Books, each book contains 25 leaves for a total of 500 Leaves in a 1 pack Red..
Red Variegated Leaf-1 bookBuy Red Variegated Leaf-1 book containing 25 Leaves 5-1/2" x 5-1/2". 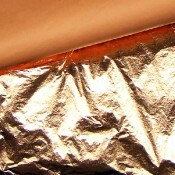 Average Coverage area for a book is 5.25 square fee..
Variegated Metal Leaf-Koi RedBuy Variegated Metal Leaf-Koi Red for Sale here. Each book of Brass Leaf contains 25 sheets of Leaves 5-1/2" x 5-1/2"Aver..
Variegated Metal Leaf-Koi Red 20 Book PackBuy Variegated Metal Leaf-Koi Red 20 Book Pack for Sale here. 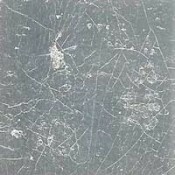 Each book of Brass Leaf contains 25 sheets of ..
Variegated Metal Leaf-Mystic Black 20 Book PackBuy Variegated Metal Leaf-Mystic Black 20 Book Pack for Sale here. Each book of Brass Leaf contains 25 ..
Variegated Metal Leaf-Mystic Black bookBuy Variegated Metal Leaf-Mystic Black book for Sale here. 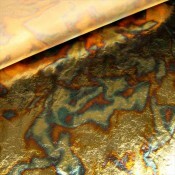 Each book of Brass Leaf contains 25 sheets of Leaves..
Variegated Metal Leaf-Nebula 1 bookBuy Variegated Metal Leaf-Nebula 1 book for Sale here. Each book of Brass Leaf contains 25 sheets of Leaves 5-1/2" ..
Variegated Metal Leaf-Nebula 20 Book PackBuy Variegated Metal Leaf-Nebula 20 Book Pack for Sale here. Each book of Brass Leaf contains 25 sheets of Le..
Variegated Metal Leaf-Net Blue 20 Book PackBuy Variegated Metal Leaf-Net Blue 20 Book Pack for Sale here. Each book of Brass Leaf contains 25 sheets o..
Variegated Metal Leaf-Net Blue bookBuy Variegated Metal Leaf-Net Blue book for Sale here. Each book of Brass Leaf contains 25 sheets of Leaves 5-1/2" ..
Variegated Metal Leaf-Pink LaceBuy Variegated Metal Leaf-Pink Lace for Sale here. Each book of Brass Leaf contains 25 sheets of Leaves 5-1/2" x 5-1/2"..
Variegated Metal Leaf-Pink Lace 20 Book PackBuy Variegated Metal Leaf-Pink Lace 20 Book Pack for Sale here. Each book of Brass Leaf contains 25 sheets..
Variegated Metal Leaf-Pink WaveBuy Variegated Metal Leaf-Pink Wave for Sale here. Each book of Brass Leaf contains 25 sheets of Leaves 5-1/2" x 5-1/2"..
Variegated Metal Leaf-Pink Wave 20 book PackBuy Variegated Metal Leaf-Pink Wave 20 book Pack for Sale here. 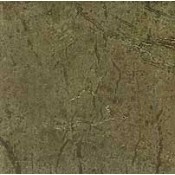 Each book of Brass Leaf contains 25 sheets..
Variegated Metal Leaf-Sage 20 book PackBuy Variegated Metal Leaf-Sage 20 book Pack for Sale here. Each book of Brass Leaf contains 25 sheets of Leaves..
Variegated Metal Leaf-Sage bookBuy Variegated Metal Leaf-Sage book for Sale here. Each book of Brass Leaf contains 25 sheets of Leaves 5-1/2" x 5-1/2"..
Variegated Metal Leaf-Sunset Red 20 book PackBuy Variegated Metal Leaf-Sunset Red 20 book Pack for Sale here. 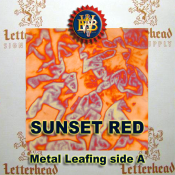 Each book of Brass Leaf contains 25 shee..
Variegated Metal Leaf-Sunset Red bookBuy Variegated Metal Leaf-Sunset Red for Sale here. Each book of Brass Leaf contains 25 sheets of Leaves 5-1/2" x..
Variegated Metal Leaf-Yellow Diamonds 20 Book PackBuy Variegated Metal Leaf-Yellow Diamonds 20 Book Pack for Sale here. Each book of Brass Leaf contai..
Variegated Metal Leaf-Yellow Diamonds bookBuy Variegated Metal Leaf-Yellow Diamonds book for Sale here. Each book of Brass Leaf contains 25 sheets of ..